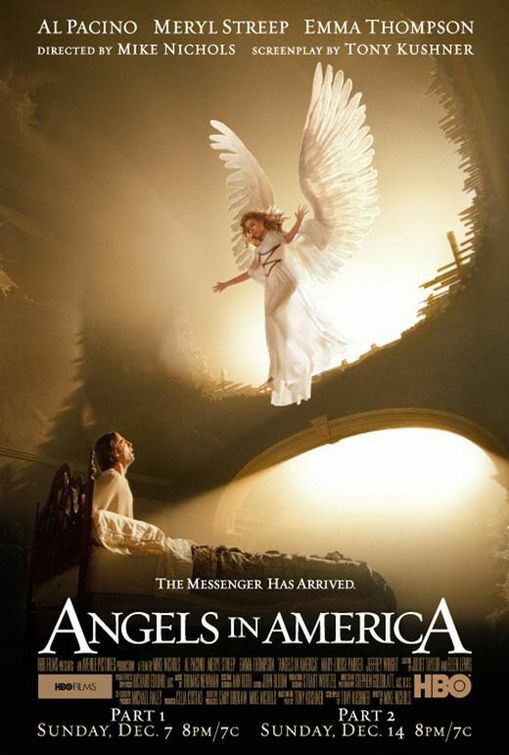 Delving a bit into the television work that Meryl has dabbled in over the years, I viewed the HBO miniseries, Angels in America. In this series, Streep played several characters, including a male rabbi, infamous Ethel Rosenberg's ghost, and a disapproving Mormon mother. And the great thing about these three very different performances is that they really can be dealt with separately in terms of reactions. Let's begin with Ethel. 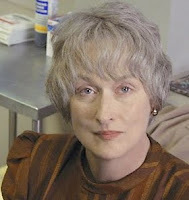 Aside from the fact that the hair and makeup artists did a remarkable job making her the spitting image of Mrs. Rosenberg (and though her supposed 37-year-old character looked a bit more aged, I learned from the wonderful Parker Posey in You've Got Mail that she looked far older than she actually was), Streep's take on the semi-bitter, semi-droll executed New Yorker was surprisingly amusing. And to see her give the despicable Roy Cohn (played erratically by Al Pacino) was satisfying to say the least. 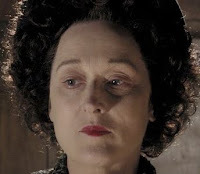 Meryl also played the role of sexually confused lawyer Joe Pitt's (Patrick Wilson) mother, whose initial disgust in the choices of her son provided easily the most intriguing and undeniably interesting parts of the miniseries. She cast as a villain in her counteraction with Wilson's character, but it's when she meets Prior (Justin Kirk) that her no-nonsense, faithful nature is tested with dramatic results that most actors would kill for. She's made to look as matronly and pesky as possible, so it's hard to fall for her oftentimes frustrating character, but it's hands-down the best one in the movie. The first time I saw the miniseries I loved the rabbi and was dying to know who was the actor who played him. You can imagine my surprise when I saw the credits. I was always impressed with Emma Thompson in this. It's a pity she had to go up against Meryl. I suppose the Mormon mama won her the award.